Cogito Intelligence Platform is an anti-money laundering & risk management software that supports enterprise risk and compliance analysts by integrating the most disparate sources of information and quickly identifying threats and phenomena of interest to help companies mitigate risk. 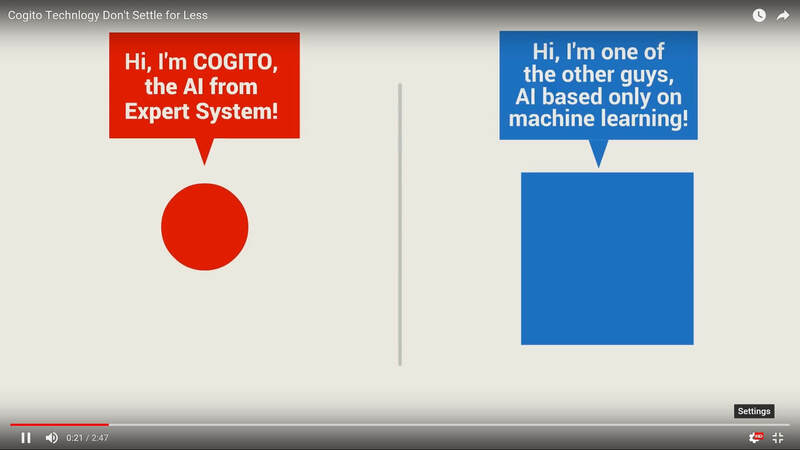 Cogito Intelligence Platform is based on the Expert System cognitive software, Cogito. With its ability to read content, comprehend and learn like a human, CIP applies the power of its semantic understanding at scale to perform deep and wide analysis of large, unstructured data sets and multiple document sources. Our risk management software analyzes thousands of sources and millions of documents, narrowing them down to the information that matters in as few as three clicks. It offers interactive data exploration, high throughput and immediate, actionable results from terabytes of information. Deploy our risk management software to acquire and index large unstructured content datasets from any internal or external source to build risk profiles of current and potential vendors, suppliers or any third parties. Discover connections between different sources and provide multiple scenarios as data emerges, in different languages. Cogito Intelligence Platform offers immediate, actionable results through the full analysis of a wide variety of data channels and from terabytes of information. It offers a wide range of features such as: Advanced target definition, immediate identification of critical events via a Corporate Liability Taxonomy, automatic alerts, complete workflow management, easy source acquisition and rich discovery and visualization tools. When evaluating the risk profile of a request for financing, there are many considerations beyond the balance sheet and income statement. When financing is closely associated with the quality of leadership, leadership conduct becomes an increasingly significant consideration. The Cogito Intelligence Platform risk management software has been deployed to understand the conduct profile of company leadership to reveal any factors that may indicate risk. Money laundering is not only about financial transactions, it’s about abstract relationships connected by commerce and conducted by those who go to great lengths to appear completely legitimate. Obfuscating illegal conduct is intentional and is achieved in increasingly sophisticated ways. Cogito Intelligence Platform is extremely powerful when applied to identifying and exposing abstract relationships, which is why a growing number of financial institutions rely on Cogito technology.